We have featured quite a few cool Iphone 4 decals here at Geeky Gadgets, like the cool Game Boy Color iPhone 4 decal and the awesome Polaroid Land Camera iPhone 4 decal, the latest one will appeal to all the Star Wars fans out there, the Chewbacca Wookie iPhone 4 decal. Every Scruffy Nerf Herder needs a Wookie Co-Pilot with matching phone decal. Even if you Chewie impression needs some much needed work, this will lend credibility to your efforts. 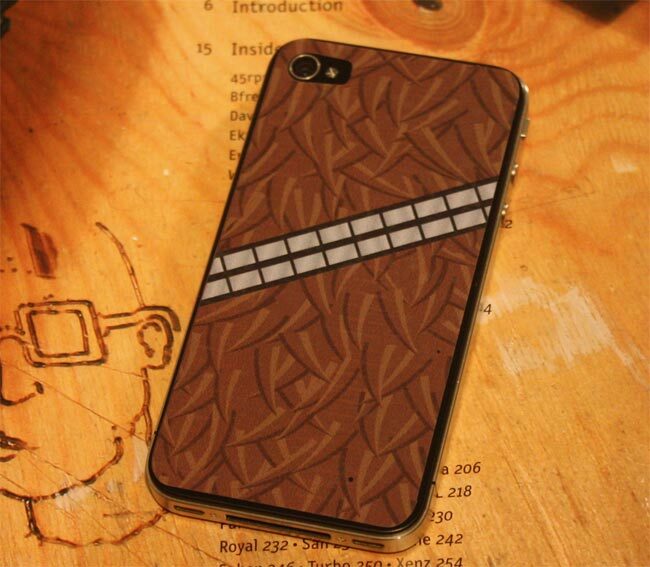 If you want one, the Chewbacca Wookie iPhone 4 decal is available for $6.00 from ShortSleeveAlliance.